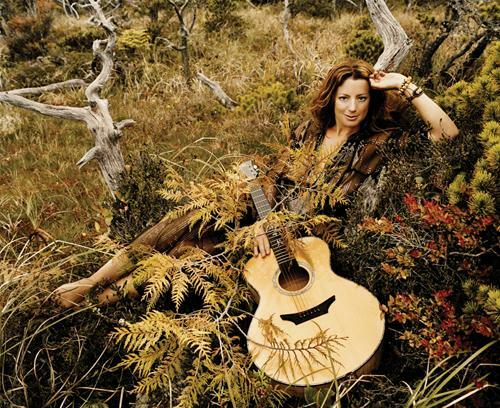 After declaring her intentions to revive the Lilith Fair after an eleven year lay-off, festival founder Sarah McLachlan has announced that she has a new studio album due as well. Dubbed The Laws Of Illusion, it is the Canadian singer-songwriter’s first collection of all-new material in seven years, and is due June 15 on Arista Records. The album was recorded in Montreal and Vancouver alongside McLachlan’s longtime producer and collaborator Pierre Marchand. Fans who pre-order The Laws Of Illusion at Sarahmclachlan.com will get exclusive pre-access to Lillith Fair tickets, as well as an instant download of the new track “One Dream,” a song McLachlan wrote for and performed at the Vancouver Winter Olympics. The pre-order for the first set of tickets begins in three days. Lilith Fair 2010’s roster includes Mary J. Blige, Sheryl Crow, Kelly Clarkson, Erykah Badu, Sugarland, Heart, Norah Jones, Ke$ha, Corinne Bailey Rae, Loretta Lynn, Emmylou Harris, Tegan and Sara. Visit lilithfair.com for details.